The apparatus of the emerging Palestinian state was carefully fitted up with responsibility for the Al-Aqsa intifada and blasted apart: government offices and police stations ransacked, records destroyed, political figures and policemen assassinated. Civil institutions, commercial premises, agricultural holdings, light industrial workshops all fell together under the spectral catch-all of ‘terrorist infrastructure’ ... Fundamental social services - such as education - would not escape this onslaught unscathed. " Development agenda for higher education services. Much material emerges from Israel/Palestine concerning conflict and loss, but less information is readily available about the real infrastructure of Palestinian society - its local government, education and health services, telecommunications, legal and financial environment - and its current condition. As political and economic arguments edge humanitarian concerns off the diplomatic agenda (for better or for worse), these topics are of increasing importance. This book is intended to be a catalyst for provoking broader interest in the development requirements of the Palestinian education sector. It is designed to be a concise and accessible primer for general readers exploring the subject or region and who might be persuaded to pursue their specialism further in this area. A central theme is how the ’situation’ (as Palestinians like to call the occupation) is lived as student or university professor, rather than how it is recorded through various official or journalistic media. Where feasible, content is preserved as ‘live’ dialogue (interviews and testimonies) to capture the nuances of its original presentation, allowing experience to speak for itself. 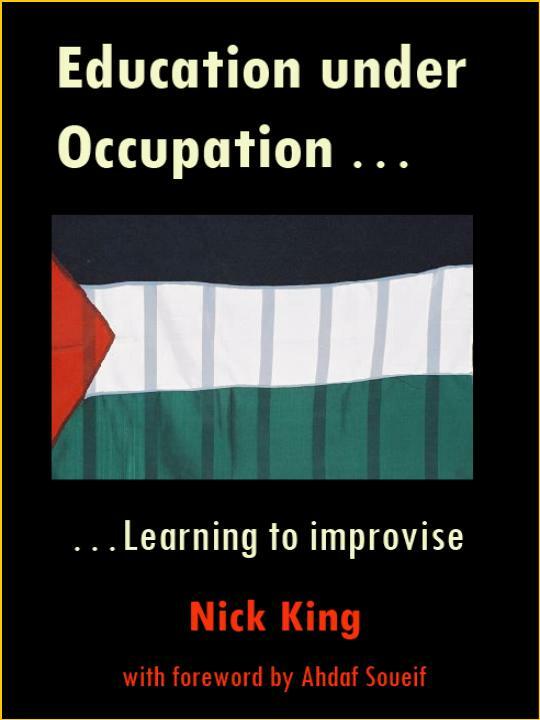 Inescapable is the pervasiveness of military occupation, or how the formal abstraction of an administrative classification imposes itself in concrete terms on the daily business of teaching and study ... is it possible to develop social policy in the context of hostile and invasive security constraints ? Further reportage shows how military governance has evolved through operational dictat and the anomalies that these excesses have created in an international juridical context. What is the potential recourse left open to Palestinians living under ad hoc martial rule ? A generation of economic deregulation and market globalisation has fused government policy formation and private sector resources in pursuit of progressive developmental objectives. What should be the response from civil society when confronted with institutionalised neglect of fundamental human rights ?